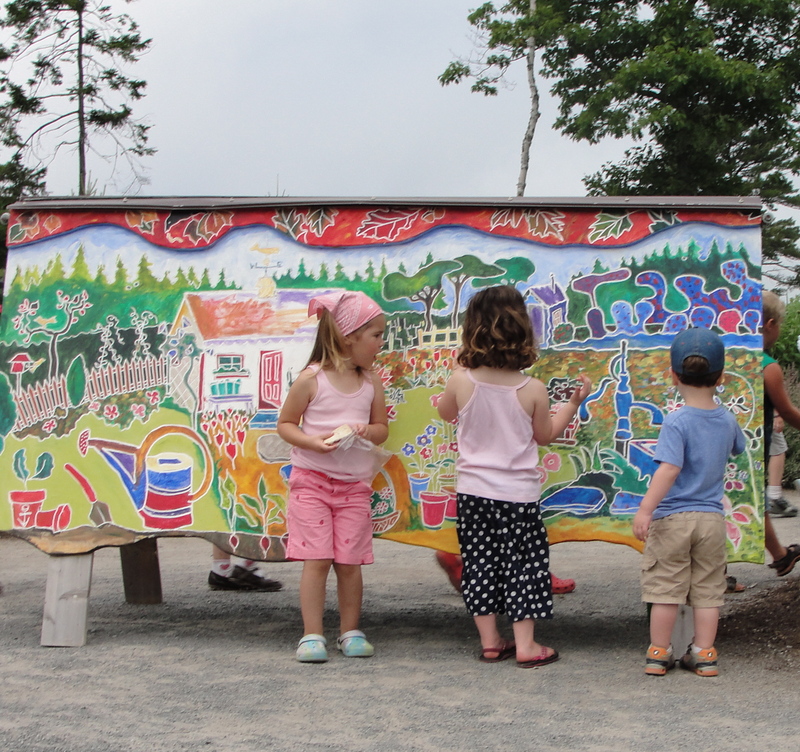 Today, Team Cute Potato braved the crowds in Boothbay for the much-anticipated opening of the Bibby & Harold Alfond Children’s Garden. We missed the initial pomp and circumstance, which included opening remarks from Senator Susan Collins, Maine’s First Lady Karen Baldacci, a parade, ribbon cutting ceremony and the quick devouring of 500 cupcakes. While we were looking forward to free treats (who wouldn’t? ), the Children’s Garden did not disappoint. 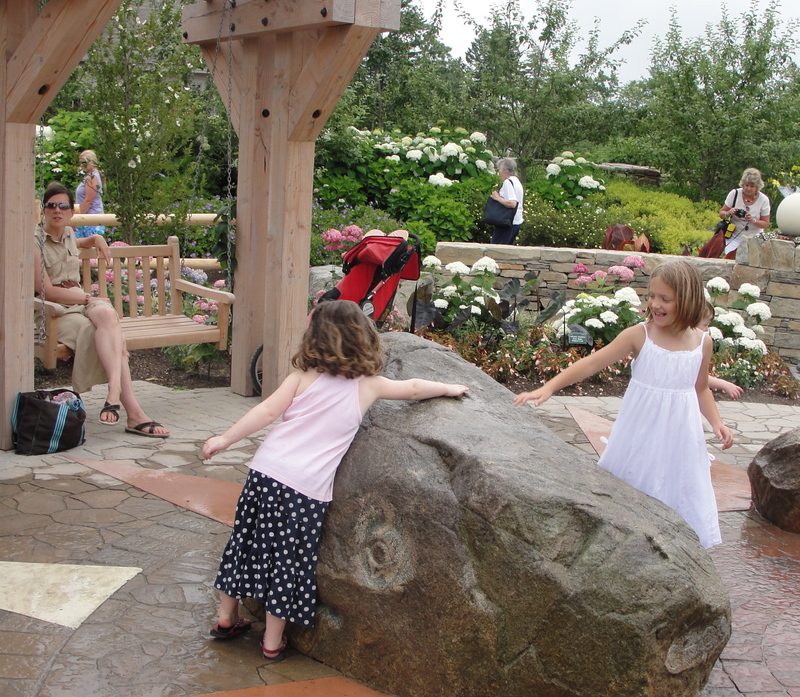 At the entrance, three stone whales—designed by Damariscotta sculptor, Carole Hanson—delivered a cool mist of water. CP#1, #2, and a friend ran through the spray, while MP sat on a porch swing, watching the kids have fun. 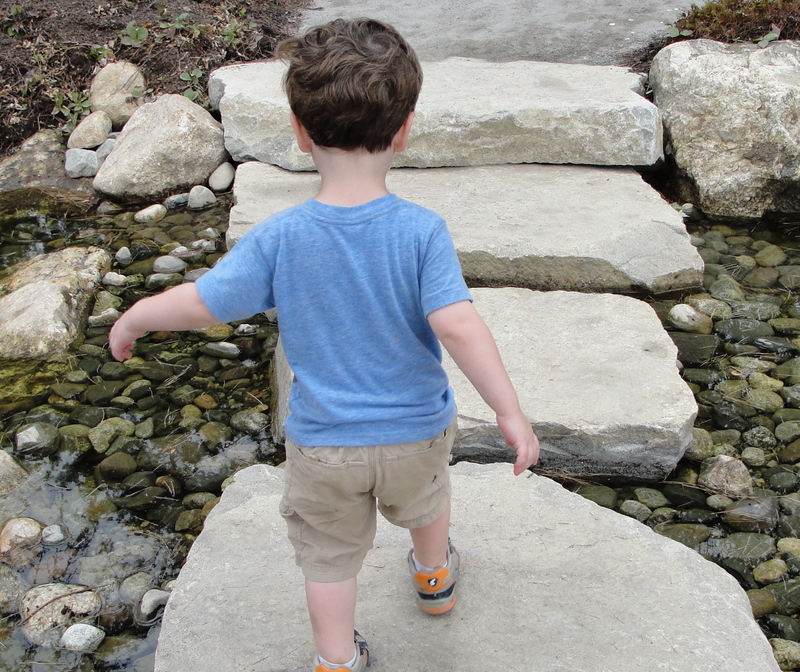 After pulling her trio away from the whales, MP discovered a winding stone path (think yellow brick road). 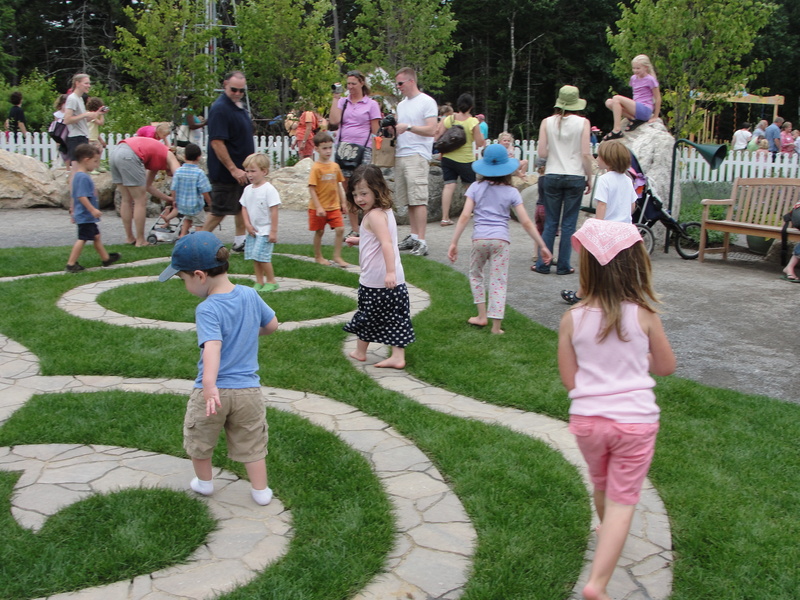 The kids slipped off their shoes and walked the maze-like path’s twists and turns, delighting in bumping into each other. We ventured towards the vegetable garden next, where the kids visited the Garden Gnome Shed and pretended to plant seeds in pots. The team was also excited to see the fairy-tale like cottage nearby. Inside, a table was set with paper, markers and crayons. Next to the cottage was a long line of children waiting to sit in stationary rowboats. 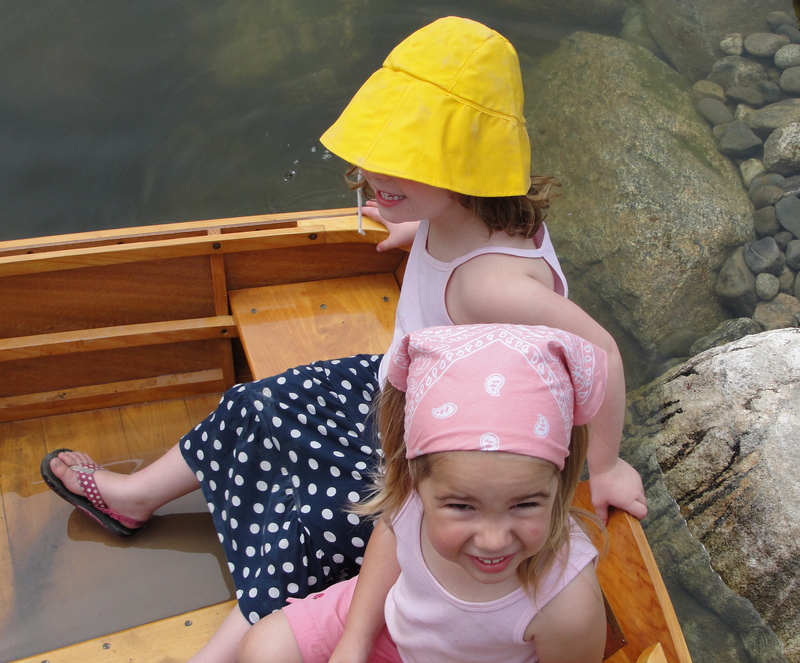 One boat featured working oars and fisherman’s hats, bib overalls and jackets for dress up. CP#1, who loves the water, spent time on a footbridge throwing a life preserver into the pond in hopes of saving a rubber duck. Just around the corner, CP#2 discovered the garden’s coolest attraction—a giant tree house à la Swiss Family Robinson. 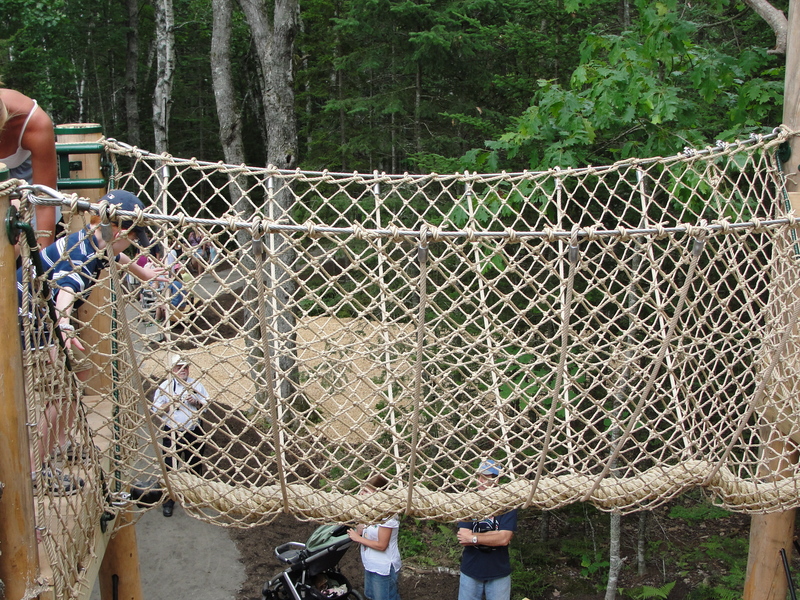 Swarms of kids were lined up to try a rope bridge. Admittedly, MP was a little nervous when CP#1’s friend got in line, and breathed a sigh of relief once she successfully crossed. 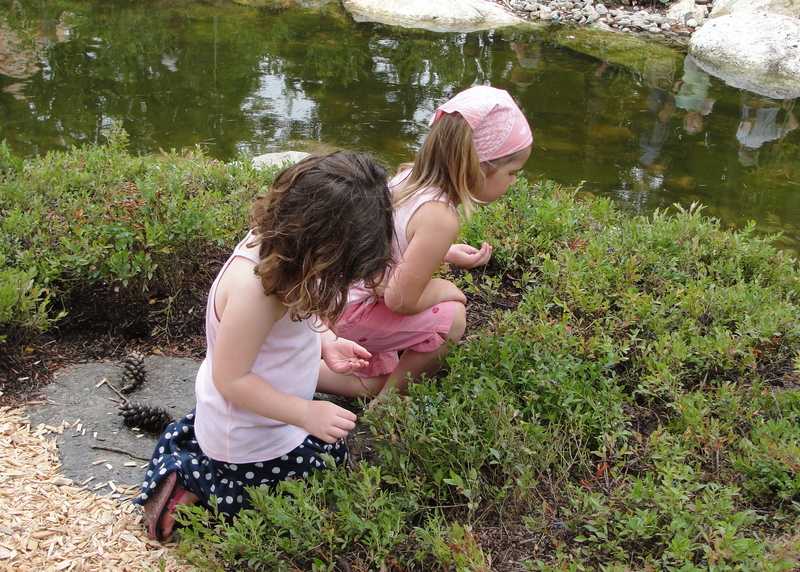 The sweetest section of the garden, aptly named Blueberry Pond, is inspired by the Robert McCloskey story, Blueberries for Sal. The kids wandered through the blueberry patch, sampled a few berries and met Sal’s friend, Little Bear. Not surprisingly, all of the flowers and plants in the garden were spectacular. 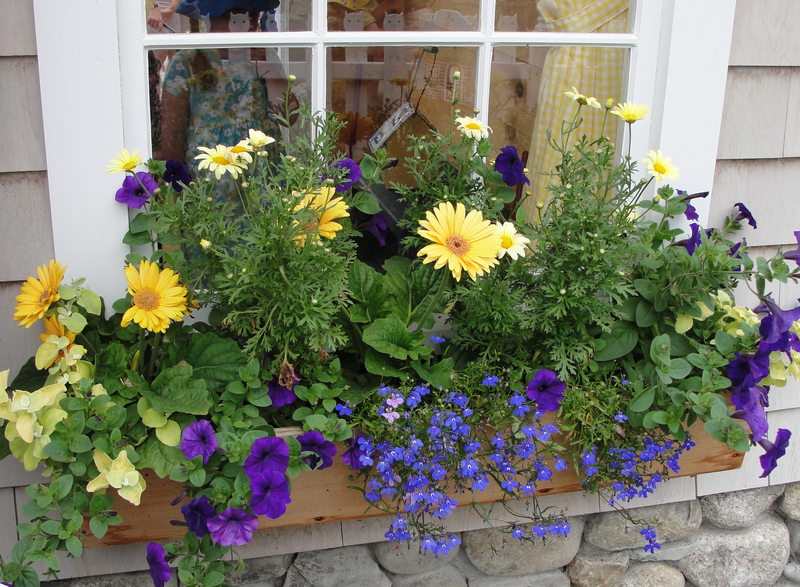 MP especially loved the gorgeous hydrangeas at the entrance and the window box at the Cottage Garden. In season, the Lupine Meadow must be impressive, and it’s a great spot to rest for a picnic lunch. 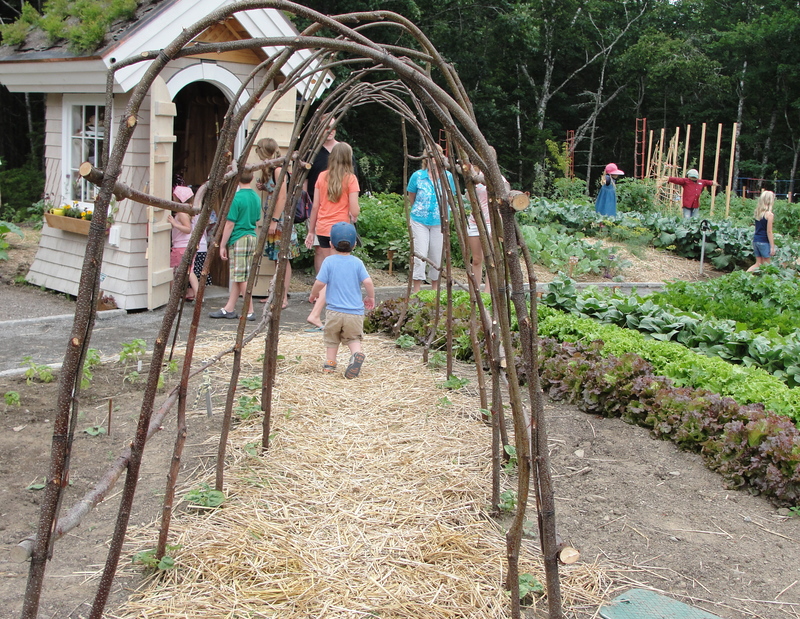 We loved our time at the Children’s Garden and hope to return soon with more friends in tow. 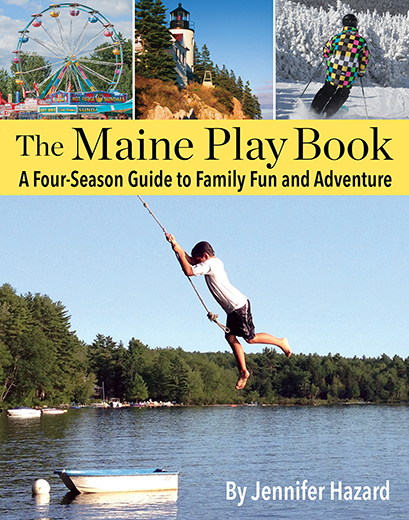 Open daily, 9 a.m.-5 p.m.
That’s a picture of my son crossing the rope bridge! We were up from Mass for the week. It’s a wonderful garden, they did such a great job with it. I cant wait to go back next year and see how it’s filled in. By the way, it was a crazy mob scene around the cupcakes! Too funny! If you like, I’ll send you a copy of the photo. It’s ok, I was standing at the other end of the bridge snapping photos.